This comic shows why you should focus on one side project at a time. If you're working in the world of web design, chances are you've dabbled with a side project or two in your spare time to help develop your skills. But, whether you're busy working on your own web fonts or ways to improve user experience, this witty comic shows why you need to stay focused. 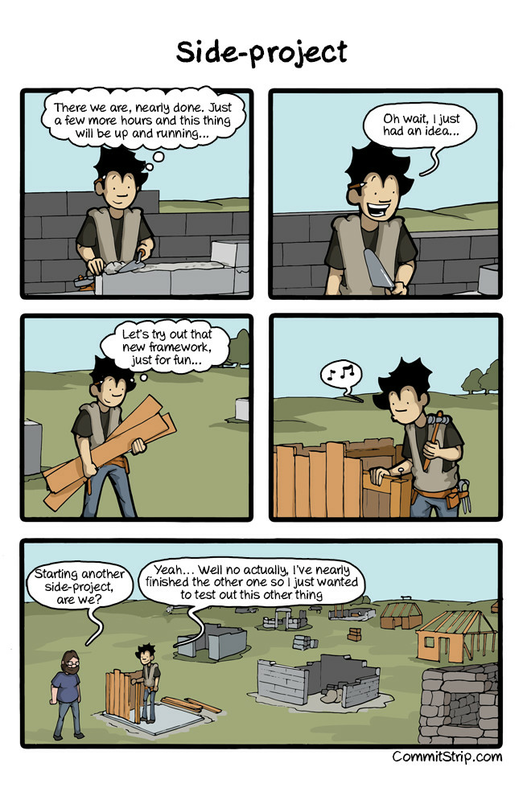 Created by the team at CommitStrip, a daily comic written by coders, for coders, this cartoon reveals how easy it is to get carried away by your side projects. So, while you might be keen to try out a new skill that you picked up through your side project, make sure you finish the task at hand first. Otherwise you might not have anything to show for all your hard work.